I will be the first user, that's for sure. Blackwave hopes to provide users with a secure, decentralized messaging platform that will protect user data. Because Blackwave does not require users to purchase, hold, or manage tokens, the platform may be more inviting to users that are not familiar with blockchain technology. With the increase in data breaches among big social media platforms like Facebook, it is clear that Blackwave is addressing a real issue in the market. Blackwave does not do much to distinguish itself from other blockchain projects with the same intentions and has not put much effort into marketing the product. The lack of transparency regarding team members and their prior work experience is unlikely to attract investors. How to invest: To participate in the Blackwave token sale, visit the website. Eligibility: There are not any restrictions for this project. Blackwave is trying to address issues in the market regarding internet users’ data security. It intends to bring value to the market through its decentralized messaging application that strives to protect users’ metadata and anonymity. Blackwave will have to compete with a number of other blockchain projects that are focused on decentralized messaging. By 2021, the number of mobile messaging application users is expected to grow to 2.48 Billion. The overall global app economy is expected to be worth $6.3 Trillion by 2021. Blackwave will operate using client-server architecture, and hosting will be decentralized through a group of servers. Anyone can run a hosting server with Blackwave’s Server application, and the hosts do not need to be trusted because users’ data will be encrypted and will not contain any usable metadata. 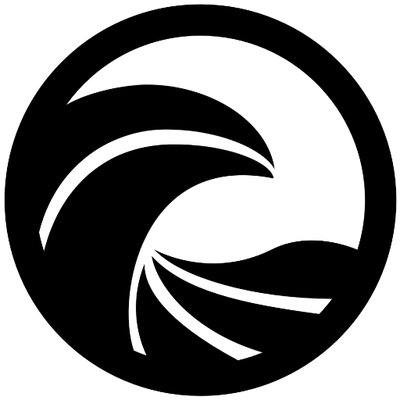 The Blackwave messenger application will provide users with content privacy, metadata privacy, authentication security, network resilience, anonymity, and transparency. The Blackwave directory Dapp will be run on the Ethereum blockchain. It provides users with a unique ID that is registered and protected on the Ethereum blockchain as if it were a transaction. Blackwave does not have a team section on its website or in its whitepaper, which will not help assure investors of the project’s integrity. Co-founder and CEO David-Alexandre Yana has experience working in finance for ARKEON Finance. He is also a former executive assistant for Financière J.C. Yana. However, there is not much information available about this company. Co-founder and CMO Mickael Yana is also the founder and former CEO of Precious Market, a diamond and precious stone trading platform. There is not much information that can be found about Precious Market. Blackwave does not have an available MVP. BWDT can be used for trading and can be used to pay for platform fees and hosting fees. Blackwave has set up its ecosystem in a way that allows users to use the service without purchasing, holding, or managing tokens as long as they pay the monthly fee to the host. The team believes that less user engagement with blockchain technology and tokens will help adopt the use of the platform. The project is clear as to its goals and is easy for investors to understand. However, some investors may not understand the value of the project if platform users are not required to use the BWDT token. Blackwave does not have much buzz around the project. There are only 528 followers on Twitter and the team does not see much engagement. Twitter is the only social media platform that Blackwave uses.